Forgive me if you’ve already heard of The Chooky Dancers, but I was only made aware of them a few weeks ago. Apparently they appeared on ‘Australia’s Got Talent’ after becoming an over-night internet sensation a few years ago. Those of you who know me well, know that I’m rarely up with the latest when it comes to online content and emerging artists. Most of my trendy hipster friends don’t even bother inviting me to gigs anymore, knowing full well that I’ll just embarrass them with my blank stares and ignorant questions as they passionately discuss aspects of the music scene. Throughout uni I tried to act interested and barely kept up to gain some hipster ‘cred’, but I secretly reverted to the top 40 whenever I was alone. Now I don’t even have access to a radio and couldn’t care less to be honest. Anyway, If like me, you’re lagging 12 months behind the trend seekers and youtube trawlers, I’m sure you will appreciate the below youtube clip. 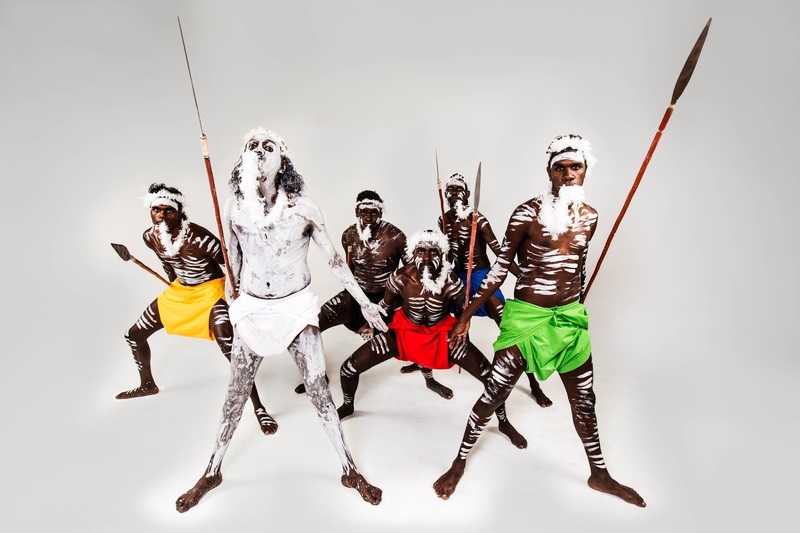 Djuki Mala, commonly known as The Chooky Dancers are an Indigenous dance troop from Elcho Island. Elcho is west of Groote and although it is significantly smaller, it’s known for sprouting some very creative and talented Indigenous folk. These guys became best known for choreographing hilarious cross-cultural interpretations of well known songs. In this clip they dance to Zorba the Greek. The Chooky Dancers are just coming to the end of their nation-wide tour. I’m sad to say I missed their Darwin show but depending on where you are, you may be lucky enough to catch one of their last shows for 2014.